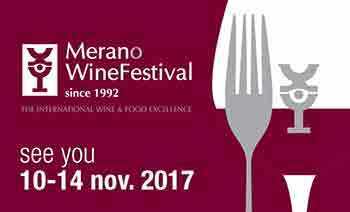 From 10th to 14 th november the edition number 26 of Merano WineFestival takes place in Merano (in the province of Bolzano), at the Kurhaus building, located in corso della Libertà, 33. This event consists in many degustations of wines and high quality food. This year more than 400 wine wineries, 200 artisans of taste and 15 cooks will take part in the event.